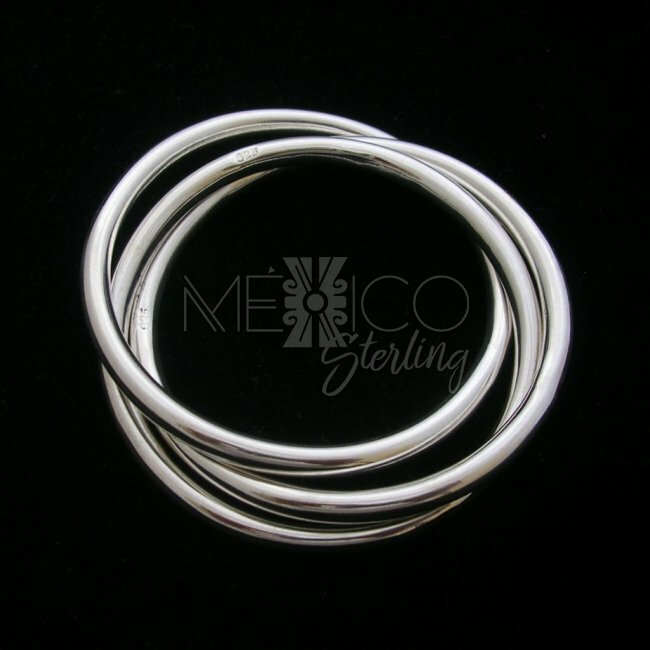 Taxco 925 Sterling Silver Bangle [BRC2638] - $126.00 : Mexico Sterling Silver Jewelry, Proundly from Mexico to the world. 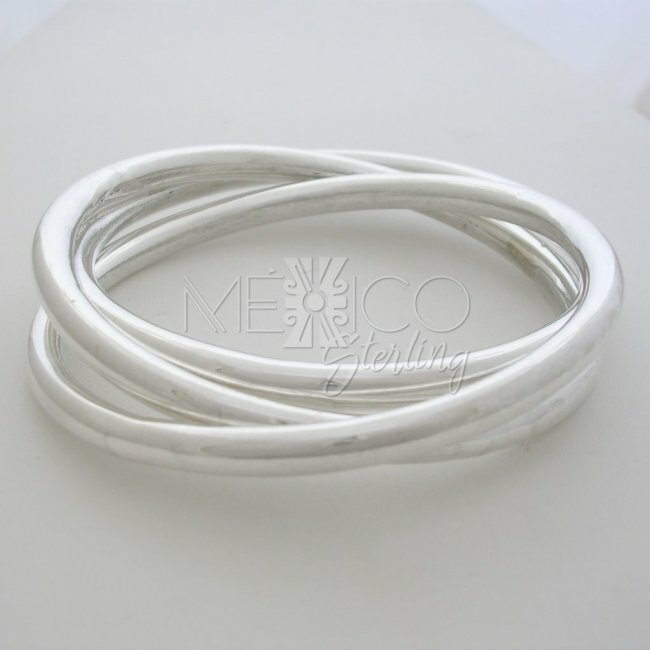 This kind of bangle is seen everywhere, not only in Mexico but all over the world and amazingly every single piece is different. 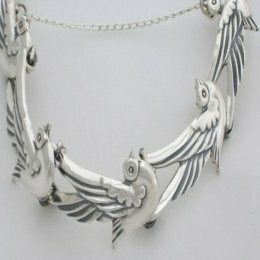 it is more commonly worn by females, but more and more men are wearing them too. 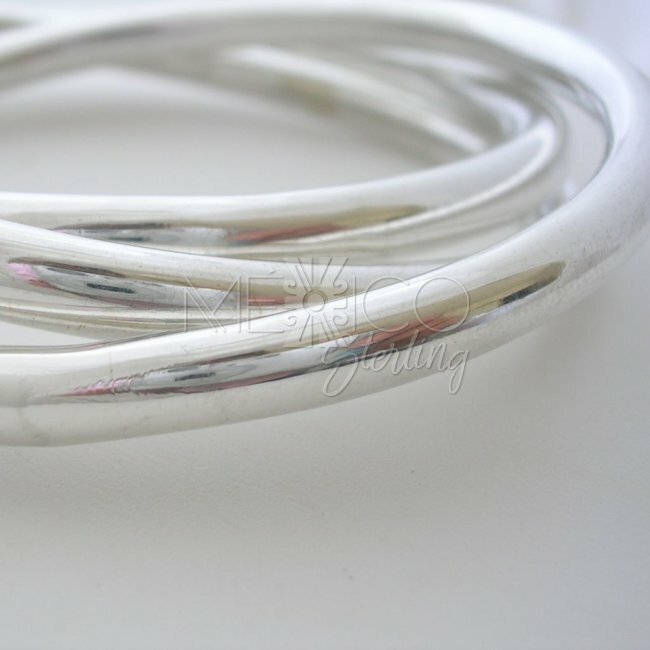 These versatile bangles are made with diverse materials, metals, decorations and themes. 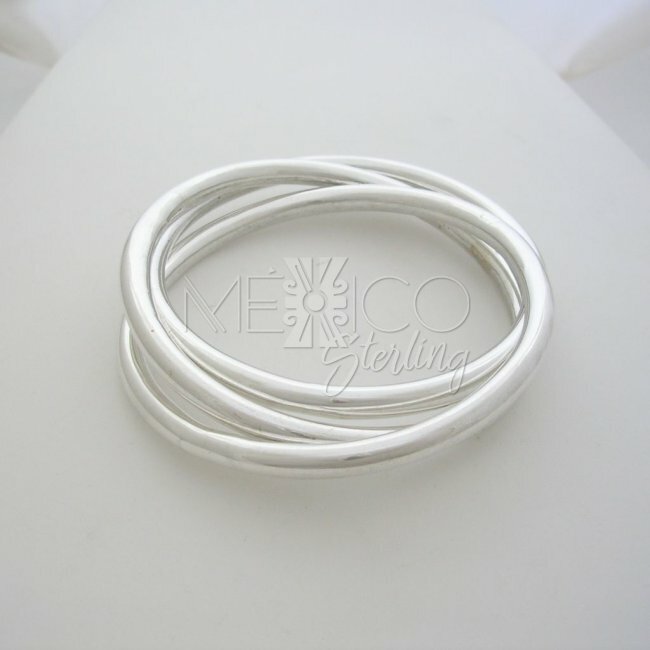 You can find them made of? 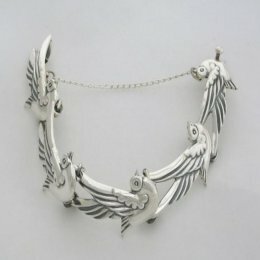 solid sterling silver to gold, platinum, plastic, rubber, leather, bronze etc etc.. they are just the perfect finish touch for any casual, or classic look, just the right fashion accessory that can never be absent on your jewelry selection. 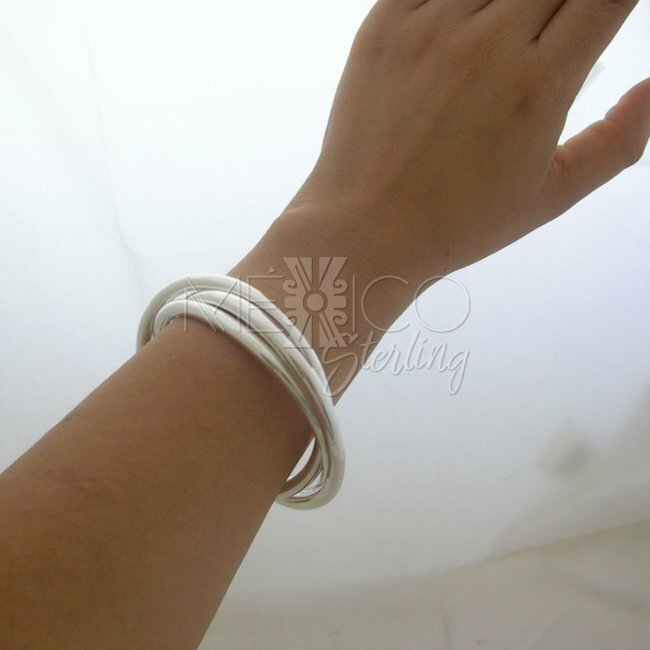 This piece is completely handmade, it is also put together with three silver bangles that joined together make this metal noise wherever you go.